A locksmith is skilled at defeating security, so honesty and professionalism are of utmost importance when hiring one. And though there are scammers out there that will look to gouge their customers, there are plenty of ways to avoid them and find honest locksmiths in Houston. Like professionals in any other field, it takes a great deal of expertise to become a locksmith, with years of experience and training needed to get the trade down. In today’s world of specialization, locksmiths have followed suit, and most of them are particularly knowledgeable in a handful of areas. For this reason, it’s best to approach a lock shop that has many people on staff, rather than relying on a single professional to meet all of a property’s security needs. A professional who is affiliated with a local business – People don’t just get hired at lock shops. 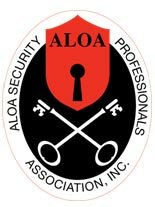 They have to pass a background check that proves their trustworthiness and they have to complete courses produced by the Associated Locksmiths of America (AOLA). Although it’s not a foolproof method of finding a reputable locksmith, most scammers operate on their own, outside of the oversight of the industry. Also, local lock shops have something to lose if they do not treat their customers fairly, so property owners can expect better pricing and services from established security businesses. A professional who can provide proof of their status – One of the easiest ways to determine who is an honest to goodness locksmith is to ask for identification. By law, locksmiths in Houston and the State ot Texas, must carry identification that proves that they are licensed by the state of Texas. A reputable professional will have no problem offering this identification. A professional who is knowledgeable – It takes many years to become a master locksmith, and even the most experienced locksmiths will be better suited for particular jobs. Some areas of specialization include domestic and foreign automotive locks, alarms, detention locking systems, safe installation, safe combination locks, keyless mechanical locks, time locks, advanced keying, lockset installation, electrical locks and a whole lot more. There are dozens of disciplines in the industry, so when a property owner needs assistance with a lock or security concern, they need an expert certified in the relevant area. This is usually much easier to find when approaching a lock shop, as they tend to have a well-rounded group of professionals on their team. A professional who knows what they are doing – Scammers aren’t interested in taking an honest look at a problem lock. Their goal is to convince a property owner to pay exorbitant prices on services or parts that are worth little. For example, it’s common for scammers to tell a customer that their lock cannot be cracked open, and the only recourse is to replace it with something expensive. But in the vast majority of cases, a reputable locksmith will have no trouble getting through most building or vehicle locks. They are trained and have the tools for just that, so when a locksmith says they need to drill the lock free and put another one in, that’s a cause for concern. Reputable professionals should have no trouble getting in. A professional who communicates with their customer – Scammers rely on their marks not asking tough questions. As soon as a property owner starts suspecting that the person they hired may be a scammer, they will likely be met with hostility. This is a clear sign that the locksmith is a scammer, and they often use the threat of contacting the police to intimidate someone into paying an unfair price. A reputable locksmith, on the other hand, will offer a detailed invoice that lists fees and part costs. Strong communication is the mark of a professional, and it should be something a lock shop offers from the first call to the end of the job. Locksmiths in Houston can do a lot of things. They can access locks. They can help set up additional security. They can provide insight into safes, alarms and electronic locking systems. This kind of expertise can be enormously valuable to home and business owners alike, and with it should come a commitment to strong service and fair dealing.